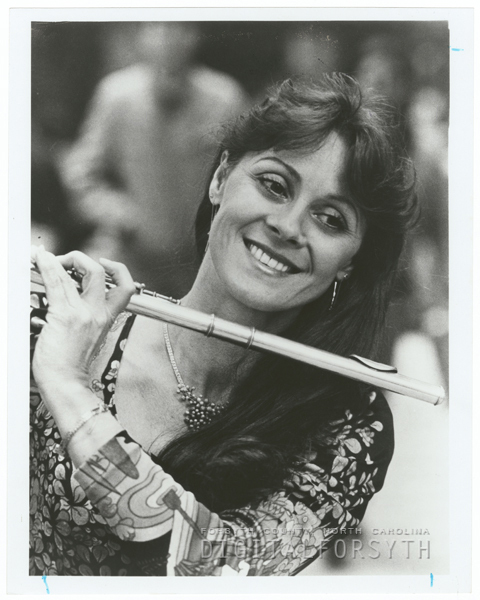 Publicity photo of flutist Ingrid Dingfelder, a performer at Reynolda House, in the Wake Forest Chamber Music Series, November 1976. Is Ingrid still living? Where can she be reached? Forsyth County (N.C.) -- History -- Sources, Forsyth County (N.C.) -- History -- Pictorial works, Digital Forsyth, Dingfelder, Ingrid.